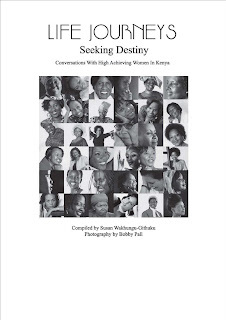 "Life Journeys": Conversations With High Achieving Women In Kenya, Week 2 - Women of the Week. Conversations With High Achieving Women In Kenya, Week 2 - Women of the Week. Amani (Cecilia Wairimu) is a well-renowned Kenyan musician who was awarded the MTV Africa Music Awards for Best Female Artist in 2009, along with a myriad of other awards throughout her career. "Music is what drives me. I live, eat and sleep music. I attended Thika Primary School. I was a studious and tiny girl who lacked confidence and was not popular in class. I was bullied, my name was written on desks and toilet doors and this turned me into an introvert. My best friend in the school died and her death affected me deeply. I with drew from everyone and it became really hard for me to interact with other children. Joining Bishop Gatimu Ngandu Girls High School in Nyeri gave me a fresh start because I was able to rediscover myself. I made new friends and found people who loved music as much as I did. During my first year in high school a couple of us formed a group called 'Sobriety'. We performed at school functions and this really helped build my self-esteem. I was happy and felt that I had a chance to be myself. Although there were some girls who tried to bully me, I was immune to this because I had been through worse and it did not really bother me." Zain Verjee is the World News International Anchor for CNN. It is hard to believe that her media career started as a DJ at Capital FM, Nairobi.
" I love Kenya - it is my home. No matter where I travel in the world, I feel most calm and at peace when I land at Jomo Kenyatta International Airport. I always have tears in my eyes. I am the elder of two children. My parents are Yasmin and Johnny Verjee. I was born on February 11, 1974 in Nairobi. My brother, Irfan and I had a wonderful, stable, warm and loving childhood. I would say that my success has been driven by my willingness to learn and grow from my mistakes. I never forget that others have contributed to my achievements. I have struggled with consciously balancing my demanding work schedule and maintaining a healthy social life." Lupita Nyong'o is an exceptional Actress, Film Maker, Model, and a graduate of the Yale School of Drama at Yale University. She is also the recipient of The Eldon Elder Fellowship 2010 at the Yale School of Drama.
" I looked into the mirror and I realised I was alive, a living and breathing human being. This is one of the earliest and strongest memories I have. I was five years old. I think this kind of self-reflection usually comes at a later age, but I remember that particular incident very clearly. I have always expressed myself in creative ways. I practiced performance and visual arts throughout my childhood, initially just for the family. I never imagined it would end up as my profession. In my early teenage years I performed small roles in school productions and I took classes from the London School of Dramatic Arts. I would not be able to do what I do without the support of my family. When I produced a winning music video for MTV, for example, I was not around to receive the prize and my mother made a point of rounding up my relatives for the award ceremony. They all called me on the phone, excitedly telling me that they were receiving it on my behalf." 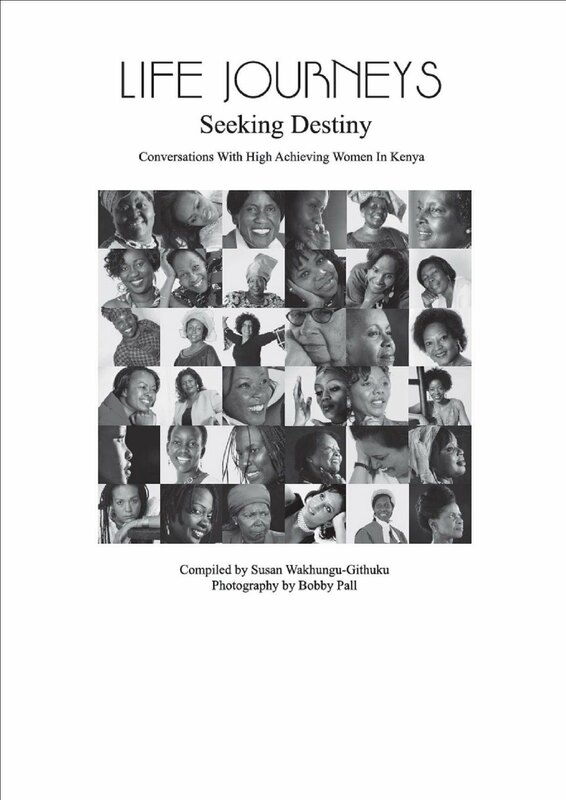 "Life Journeys: Seeking Destiny" is a ground breaking book that presents written vignettes of over 70 high-achieving women in Kenya. Each Woman was interviewed by a young and talented Footprints Press collaborator who indulged in the mentoring moment as she sat at the foot of the hero before her. The idea was to evoke a symbolic passing of the baton. The women profiled include writers, musicians, politicians, corporate global players, professors, scientists, sportswomen, judges, artists, and actors. All are accomplished leading professional in their chosen fields and all have an option on the journey they have travelled and the wisdom they have gathered along the way. This book will surprise and inspire.